Use your imagination while you learn to code. The Jimu Robot is a great introduction to STEM learning while having fun. 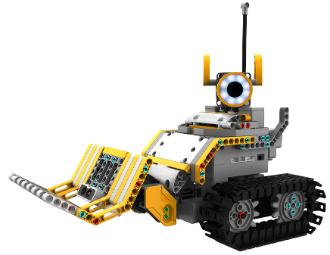 The BuilderBots Kit has all the parts to build the GrabberBot or DigBot, or you can invent your own. Both of these robots run on treads, with an infrared sensor allowing them to detect objects to pick up or move around. A great introduction to STEM (Science, Technology, Engineering, Math) learning by enabling children to develop code sequences, program actions and set custom LED light colours. 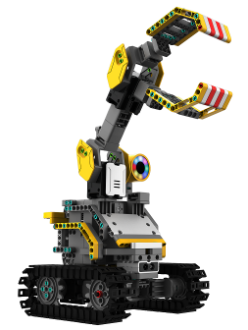 Build, control and program your Jimu Robot. 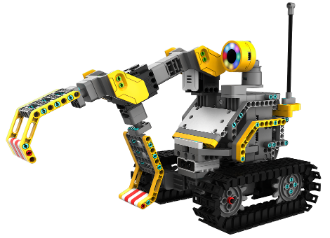 With 3D video guide on how to assemble your Jimu Robot and tons of pre-programmed actions for each robot model, you will be able to start playing with your Jimu Robot from the start. Learn how easy it is to build, program and code your Jimu Robot.